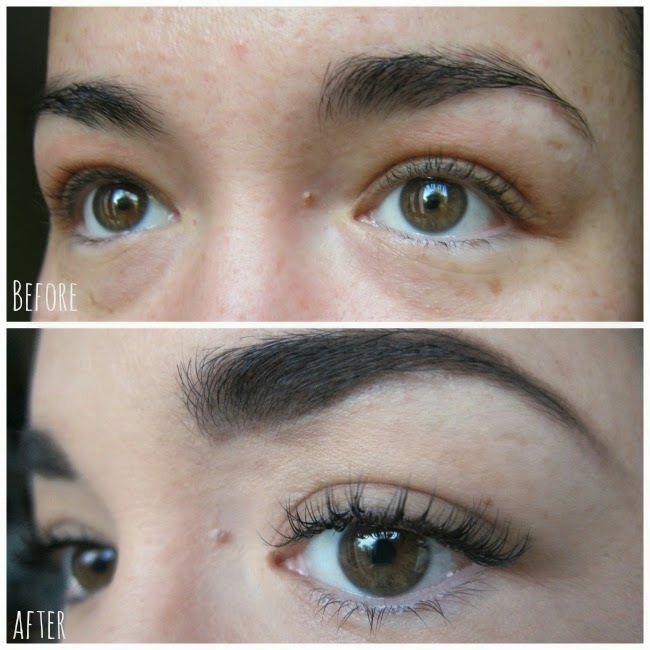 With the possible exception of my wedding dress, nothing in this world has the power to boost my confidence or make me feel prettier than some fabulous eyelash extensions. Their enhancing and defining ways are just unrivalled and for the past few weeks my makeup routine has been much more relaxed. With my eyes looking their best at all times, I haven’t felt much need for anything else. All this new found confidence is down to the very dapper and charming Christoph McCormack, who is offering bespoke lash, brow and make up services from his lovely new salon in Dublin’s city centre. You’re in safe hands with Christoph: he’s worked with Danni and Cheryl on X Factor and Tyra on America’s Next Top Model. But after several years working as a celebrity makeup artist in the US and UK, he’s back on home turf and helping Irish women to look and feel as fabulous as his famous clients. Very handily based in the Powerscourt Townhouse Centre, Christoph Eye Couture offers luxury eyelash extensions along with brow and makeup services. Christoph personally hand picked the lashes, which are made from silk for a soft and natural effect, and the adhesives used and he displays the same attention to detail when fitting them to a client. For my new look he used a combination of three lengths of lashes, concentrating on curl over high volume because, sadly, my natural lashes are quite short and anything too heavy could cause them damage. 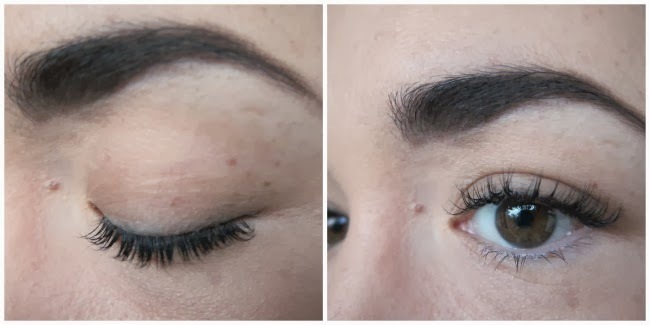 I couldn’t be happier with the results: much fuller and more fluttery looking than my own lashes, they still look natural and don't irritate my eyes. If you can, pop in on a Monday, when a full set of lashes is just €49.99. On any other day, a regular set is €59 and the Ultra High Volume set €79. Refills are €59 and take up to an hour. They’re also offering a tempting Christmas special – book in November for December and get a full set of lash extensions plus 4 week brows for €75, instead of €99. Book online or call (01) 209 1974 for an appointment and hey, maybe I’ll see you there! These are gorgeous Em and was the first thing I noticed when I saw you last week. So natural and bootiful! These look very natural and pretty on! Wow! The difference is amazing. I bet you can't help but flutter them!!! I'm quite lucky that I have long lashes of my own, but if I didn't this is definitely worth doing. Gorgeous & totally agree - when I had extensions done they seemed to change my face (& confidence!) more than anything had done before! Oh wow! They look absolutely amazing! These look great on you and so natural! They look brilliant and Powerscourt Town Centre is so handy! I need to get a set of these immediately! I love the dramatic look! I've meant to try it some time and need to do that soon! How amazing! I've always wanted them. You look gorge-y! those looks so good, and natural! Holy moly, your lashes are INCREDIBLE! I actually had extensions applied last week and my results weren't half as successful. Apparently I have very curly natural lashes so the mink ones wouldn't adhere properly. I came out with a sparse application which started falling out the next day! I removed them myself a couple days later (it's ok, I have some proper professional remover at home). WANT YOUR LASHES SO BAD! Oh wow they look so natural and pretty! Maybe I should start wearing lash extensions as well! Wow, you look amazing. Those lashes are beautiful. WOW Emma! 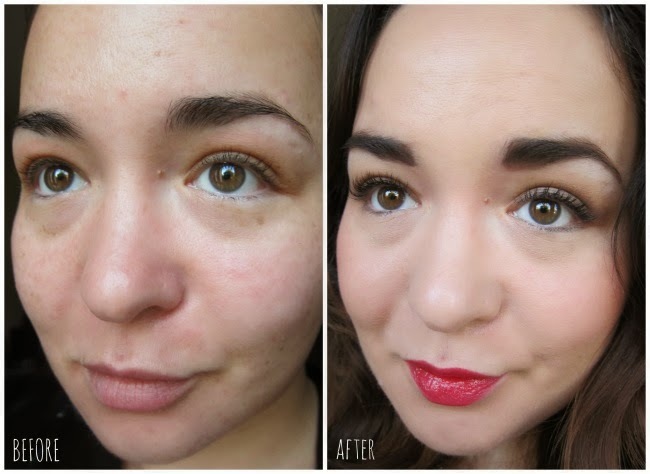 The before and after is amazing. They look SO GOOD on you doll. I always walk by that place and am so tempted to give it a try. Yours look great! Your eyelashes look fantastic Emma! (as does the rest of your gorgeous face!) So natural and pretty! I'm lucky enough to have long eyelashes but if I didn't I think these kinds of things are so great and worth every penny, especially coming up to Christmas when there's lots of parties going on. O my gosh those lashes are killer! You look so pretty. so nice color of your eyes. I love the result... so natural!